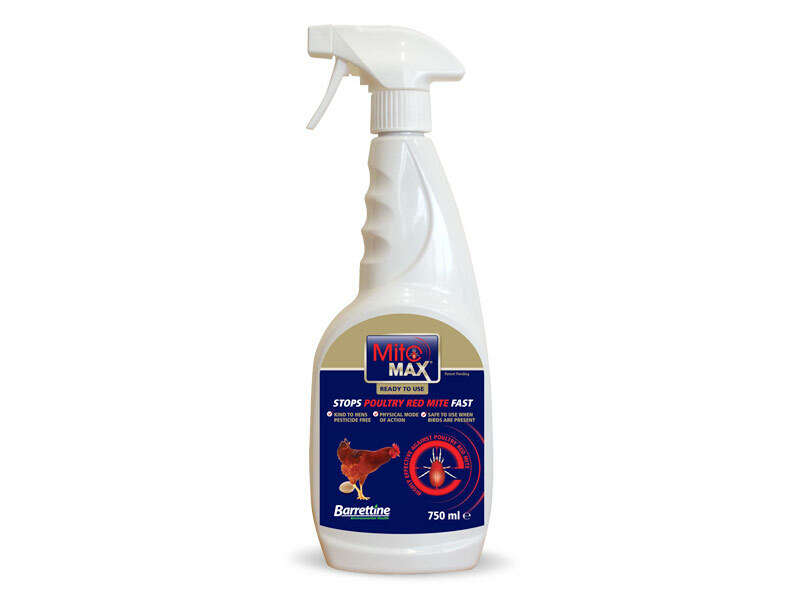 A ready to use trigger spray highly effective and fast acting against Poultry Red Mite. Mitemax RTU does not contain any pesticide and has a physical mode of action rapidly immobolising the pest which subsequently dies. It is safe to use when hens are present. Should not be applied directly onto poultry and eggs should be collected prior to spraying. It is safe to introduce Biological controls (predatory mites) twenty four hours after spraying.